Сила в знании, и книга - неистощимый носитель мудрости. И не только их... И вот потрясающий эталон такой книги, которая дарит вам новые факты, мысли и несколько неожиданные взгляды на мир - "Graphic Standards Field Guide to Home Inspections"
Quick, reliable answers to your most common on-site questions When you're in the field, you never know what you'll come across. The Wiley Graphic Standards Field Guide to Home Inspections gives you fast access to the information you need when you're on-site and under pressure. Presented in a highly visual and easily portable format, the Graphic Standards Field Guide to Home Inspections is organized according to CSI's Masterformat standards of practice. 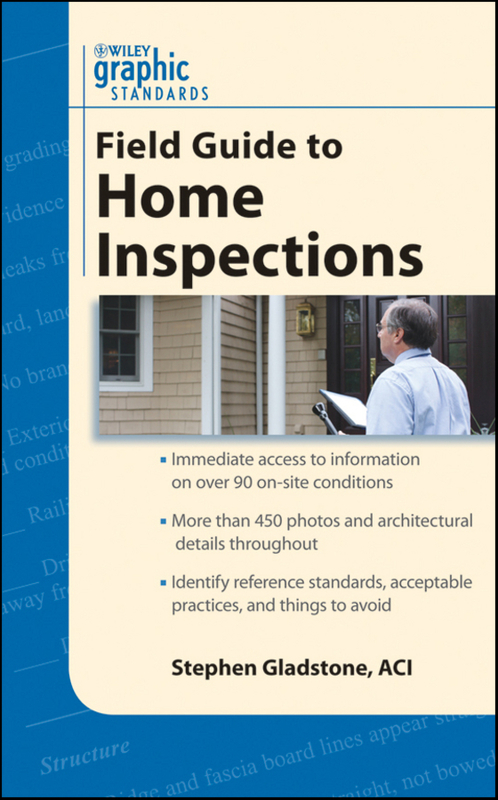 It covers everything from inspection preparation to on-site safety, conveying the most common answers with practical instruction about home inspections that the professional inspector, architect, engineer, or contractor needs to access quickly out in the field to evaluate an existing residential property. The Field Guide to Home Inspections extends the Graphic Standards experience outside of the office and into the field, with: Quick access to essential information wherever you are Graphic Standards-quality details accompanied by real-world photographs of the common conditions you'll find in residential buildings Illustrations that help you troubleshoot problems, along with on-the-spot solutions Compact format that's easy to reference and carry along The Graphic Standards Field Guide to Home Inspections is the ideal companion for the on-the-go professional home inspector. Полагаем, что "Graphic Standards Field Guide to Home Inspections" будет хорошей альтернативой бесполезному и примитивному чтению.